The Sonoma Diet/ New Sonoma Diet is based on the Mediterranean Diet which focuses on the foods that people who lived in the Mediterranean area, ate in the 1940's and 1950's. Connie Guttersen, Ph.D., R.D., creator of the diet says that she based it on the lifestyle of the Sonoma Valley residents. The Sonoma Valley is an area in California known for its award winning wineries. The New Sonoma Diet is an updated version of the original and comes with a wine guide for your evening meals. According to Connie, the diet will help you to lose weight, stop your sugar addiction, and teach you how to healthily satisfy cravings with food. Guttersen's diet is made up of three stages called waves. Wave 1: The first stage is 10 days and is the strictest phase of the diet. Fast weight loss is the goal. Many foods are off limits during these 10 days such as processed foods and fatty foods such as butter. During this stage, foods that are high in natural sugar, such as fruit juice, are also banned. Wave 2: This stage lasts until you reach your goal weight. You continue to eat as in Wave 1, but now you can add foods like walnuts, olive oil, some fruit, and sugar free treats. Wave 3: This phase begins once you reach your goal weight. This stage is about adopting the New Sonoma Diet as your permanent lifestyle. You have more flexibility and can experiment while limiting hydrogenated fats and packaged foods. Rather than counting calories or carbs or fat grams, Guttersen introduces a simple portion control trick. You can use a 7 inch plate for breakfast and a 9 inch plate for your lunch and dinner. Refined grains or foods containing them. Processed grains or foods containing processed grains. Most oils excepts extra virgin olive oil, canola oil, and nut oils. Crackers, cakes, cookies, muffins, doughnuts, etc. Hydrogenated or partially hydrogenated fats. The diet book helps you to learn about nutrition and provides guidance and structure. You will learn to eat more slowly and to savor your meals allowing you to feel fuller. The overall plan is to help you to make a long term lifestyle change, which is the essence of permanent weight loss success. No in person meetings are available. This diet is about medium in difficulty after the first 10 days. The fist wave will probably be high in difficulty for most people. You should be able to adapt this diet to either vegan or vegetarian. Some of the recipes are gluten free, but this is not a gluten free diet. You will have to read labels to make this a gluten free diet. Banning foods can lead to problems for some dieters. So many banned foods may not work for you. Calories may be too low for some people. Wave 1 is very low calorie (900-1100 women and 1100 -1300 men) and Wave 2 only adds about 200 to 300 calories which is still low. The diet has limited flexibility. Some built in cheating would make it easier. Although the diet claims it is not low carb, it is. In fact, you may experience a 'carb crash' in Wave 1 which can leave you tired, irritable, and shaky. Although portion control has merit, most diets allow for an 'unlimited' amount of foods such as low starch high fiber vegetables. About the only advantage that I can see is that you will lose weight faster with the Sonoma Diet over the Mediterranean Diet. My question for you: "Is the price that you will pay for this faster weight loss worth it?" 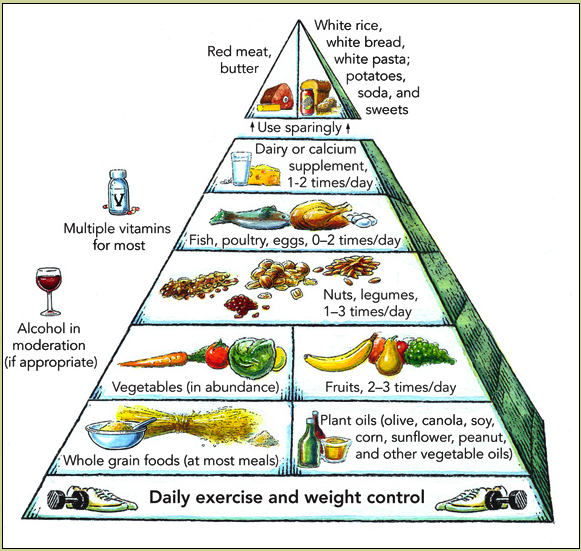 May I suggest that you consider looking at the Mediterranean Diet, before making an decisions. You should find it easier. Click here to visit the Mediterranean Diet Review. Click here to visit Mediterranean Diet Recipes.